Pope Francis will address Congress Thursday morning, making history as the first time a pope has ever stood on the same podium where presidents made the State of the Union address. Francis is expected to dive deeper into issues such as climate change, immigration, and abortion — all of which Republicans and Democrats are eager to hear, anxiously hoping that he will proffer arguments that support their sides of the debates. Where can you watch the pope's congressional address? There are a few live streams where you can easily see the historic event. If you'd like to watch the address live, you can access it easily on Speaker of the House John Boehner's website. If you want extra goodies like behind-the-scenes photos and video, then follow Boehner on Twitter. If for some reason that link isn't working for you, you can also watch the address live at Grasswire and there's a live feed available at PBS NewsHour. The address is scheduled to start at 10 a.m. Eastern Time. Francis is expected to be more frank and direct in his address to Congress than he was in his welcome speech at the White House on Wednesday. 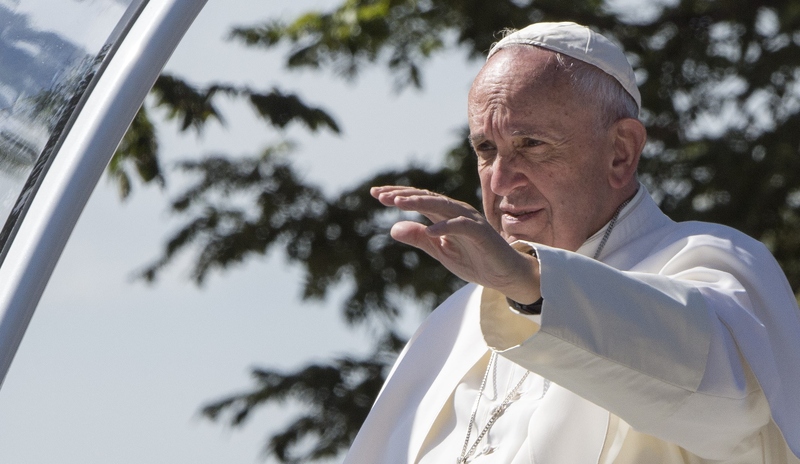 Republicans are hoping that Francis will condemn abortion and champion religious freedom, while Democrats are expecting Francis to champion the fight for climate change solutions and policies that are more favorable to immigrants, according to The New York Times. The pope addressed both of those main Democrat talking points in his welcome address, but didn't give mention to either of the Republican concerns. The innocent victim of abortion, children who die of hunger or from bombings, immigrants who drown in the search for a better tomorrow, the elderly or the sick who are considered a burden, the victims of terrorism, wars, violence and drug trafficking, the environment devastated by man's predatory relationship with nature — at stake in all of this is the gift of God, of which we are noble stewards but not masters. It is wrong, then, to look the other way or to remain silent. Francis' comments on climate change could support or hurt President Barack Obama's climate change plan and proposed emissions caps, and his thoughts on abortion could add to the conservative movement to defund Planned Parenthood.